Africa was voted the best destination to see wildlife in International Traveller's Readers' Choice Awards 2015. 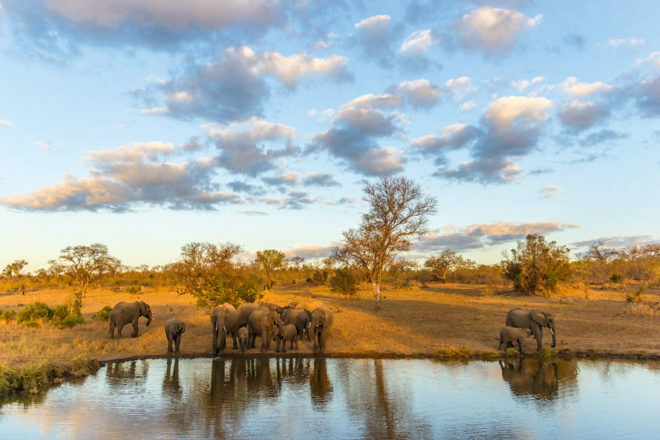 Africa was voted the best destination to see wildlife in International Traveller‘s Readers’ Choice Awards 2015. Yes, we know this is a whole continent, but the votes were overwhelmingly in its favour: more than 500 of you voted for Africa, and its wonderfully unique countries, as the best place to spot wildlife. Everywhere you look on this great continent there is the promise of wildlife, from the inquisitive meerkat to the mighty lion. Indeed, there’s nothing more life-changing than spotting the Big Five roaming free in South Africa or Kenya, trekking to see mountain gorillas in Uganda or Rwanda, watching lemurs bounce about in the rainforest of Madagascar, or witnessing thousands of wildebeest and zebra on their Great Migration through the vast plains of the Serengeti in Tanzania.